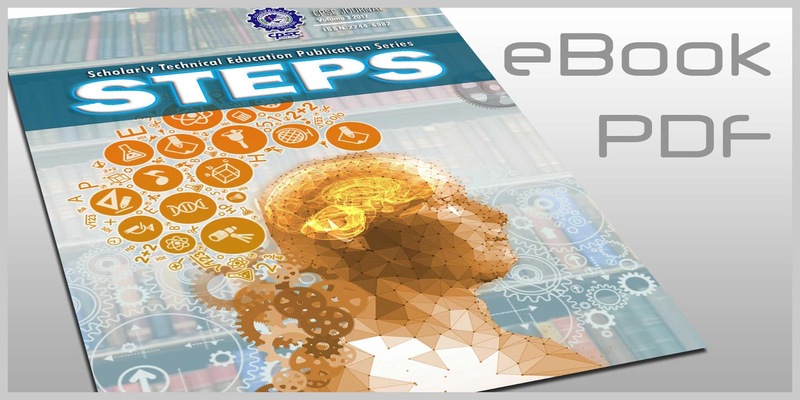 This paper attempts to study the blurring distinction between TVET and academic Higher Education (HE) and the prerequisites to create stronger ties between these sectors by improving the chances of permeability and facilitating learning pathways. Despite significant economic and social progress until date, high youth unemployment, social disparities and environmental degradations create challenges for all countries, which require the transformation of TVET through economic, social and environmental dimensions. TVET graduates will have to acquire a holistic competence, whether this is related to work, education, citizenship or personal issues and which is expected to adapt to complex and unpredictable conditions. This is to address any address economic, societal and personal developments and changes that is unfolding in the world today. The authors assume that a consequently implemented shift to competence oriented learning outcomes, addressing both theoretical and practicable occupational requirements in the development of programs and qualifications, will make the capability to act in TVET, across the education and training systems and the labour markets more explicit. The authors assume that more qualification types and programs with cross-sector doctrine and competence-compatible design of curricula and examinations will have to be designed and monitored, which address requirements of both the occupational labour market and the academic education at the same level. They conclude the discussed developments and demand generate a new space for TVET future by the fusion of academic drift in vocational program and vocational drift in academic program, which will reinforce solutions to promote permeability and mobility across education and occupational sectors. Our time is an era of transitions. This is also a time of turbulence as well as time of challenges. The challenges which threaten the economy, society and the environment are numerous, complex and interconnected. In spite of significant economic and social progress till date, high youth unemployment, social disparities and environmental degradations create challenges for all countries. These challenges threaten human security, dignity and social cohesion. Peace is fragile. Large number of people in this world still suffers from poverty, hunger and inequalities. Many targets of the Millennium Development Goals (MDG) remain big unfulfilled promises and need to be redefined in new and challenging environment of economic, social and environmental perspectives. Therefore a new vision for people, the planet, prosperity, peace and partnership has to be holistic, universal, rights-based and humanistic. Meeting these targets requires the transformation and expansion of TVET through appropriate conceptualizations in the design of qualifications and their articulation within education and between education and the world of work. TVET has a central role in helping youth and adults to develop the skills they need for employment, decent work and entrepreneurship, to support the effectiveness of their organizations and the development of their life and communities. TVET also contributes to promoting inclusive and sustainable economic growth, social equity and environmental sustainability. TVET contributes to gender equality, global citizenship education (GCE) and education for sustainable development (ESD). It is of high relevance to transform TVET in a way to maximize its potential to contribute to the achievement of global goals. Accordingly, it is a global task to follow each one of the 17 sustainable development goals (SDGs) including e.g. poverty alleviation and hunger, gender equality, good health, quality education, good decent jobs, renewable energy, fostering innovation and building infrastructure or actions towards the protection of the environment and social security & peace. 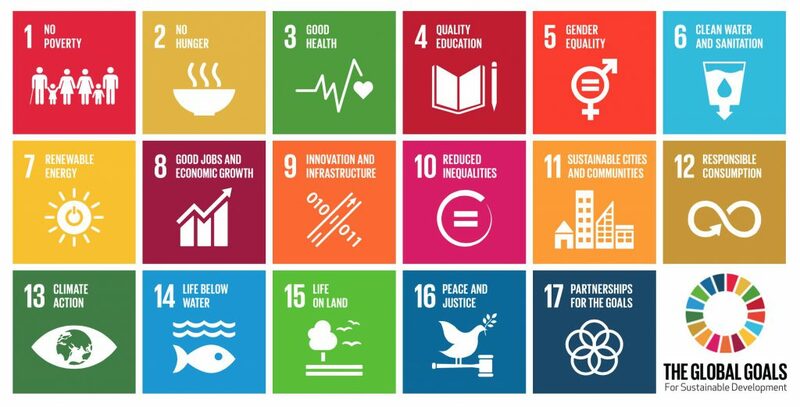 These 17 SDGs are broken down into 169 targets which aim to realize inclusive and equitable economic, social and environmental sustainable development. Such holistic visions challenge TVET strategies require not only inclusive, equitable and relevant for the needs of work but also transformative and environmentally sustainable. Therefore, skills development and Technical Vocational Education and Training (TVET) being high on member states’ policy agenda and so central to international debates, has never been so important and timely as now. It is now at the centre stage in the policy discourse and debate. A large number of member states are deeply engaging in reviewing TVET policies and repositioning its transformative dimension to meet the sustainability development goals (SDG). Following are the key elements of these transformative dimensions. The most important effect of economic globalization on the modes of work has been manifested at the level of the organization of industrial production. The shift from mass production to a customized approach causes a fragmentation of value chains. A growing proportion of workers are employed in global value chains located in developing economies. To address these economic, societal and personal developments and changes appropriately TVET graduates will have to acquire prospectively a holistic competence, whether this is related to work, education, citizenship or personal issues. Knowledge-based jobs in the main occupational areas of manufacturing as well as primary and secondary service areas are increasing globally (Raffe, 2013). The policy debate has gained momentum due to the mere fact that today’s global economy and society is driven by knowledge. The knowledge-based economy recognizes the key role of emerging technologies in providing a basis for the generation, management and utilization of knowledge as it has never been before. The major shift in emerging technology is dominated by the move from divergent to convergent technologies. Divergent technology had been earlier characterized as mono discipline and more structured with limited fusion between different disciplines. In contrast, today’s convergent technologies, including information & communication technology (ICT), bio technology, nano technology, energy technology, green technology, space technology, and entertainment technology etc., are interdisciplinary in nature and are a combination of more than one discipline. They are also oriented to research and development and largely information-intensive have relied upon Science, Technology, Engineering and Mathematics (STEM) as foundation or basis for growth and innovation. With these changes in technology, technical knowledge has raised more demands, requiring solid foundation skills on STEM. These skills include adaptability and learning to learn skills that make learners adapt to the fast changing occupational challenges. They are vital to building up the future skills profile of the people. Thus the development of a strong STEM knowledge base would need need greater adaptability. There should be a creation of opportunities to develop trainable learners while keeping in mind the dynamic changes in technology. More and more complex equipment are expected to be used in all range of occupations, from construction to service sector. The trend toward higher qualification of skilled workers and managers promotes the discussion about the extent to which the vocational professionalization of this qualification can be designed along academic requirements in connection with higher education. In many countries, VET and HE institutions have different status, e.g. the scope, responsibilities and functions of competent institutions vary greatly when it comes to examination, recognition and the awarding of qualifications and certificates. Facing a trend to systematized theory-practice linked education and training on initial and continuing VET as well as in academic Higher Education the question may be raised whether the institutional differentiation between work to school or school to work describe sufficiently the phenomenon work-based learning. Furthermore it may be critically questioned whether the comprehension of practice and the acquired relevant competence should be better understand and operationalized independent from only one specific learning location e.g. the enterprise as it has been done up to now. The increasing knowledge-based requirements in manufacturing and service areas in many countries require appropriate systemic and conceptual adaptations of postsecondary education and training to address the needs of the societies, labour markets and the learners in terms of lifelong learning (Raffe, 2003). TVET is increasingly taking place at higher levels (e.g. EQF level 5 and more) and is growing in terms of enrolment in a number of programs. An increasing demand of learners and employers has led to a booming development of post-secondary TVET qualifications (EU, 2015). Demographic trends will have a direct impact on the size and orientation of education and training systems, the learner profiles and the design and delivery of programs. Adults are staying longer in the labour market and need increasing flexibility from education and training institutions, to combine work and study in order to improve their career prospects or to change careers in later life. To understand, the trend in proper context, it is required to look further the evolution of the ISCED level 5 programs in some countries. Similarly, in Austria, universities offer degree programs (Diplom Studiengänge) which offer two to three years of courses in artistic and vocational education and training. There are also vocational courses offered as a Bachelor’s degree corresponding with a specific vocational area. There has been a significant increase in Level 5 A program in Austria and it is almost more than triple between the year 1995 to 2011 as per table. Higher education programs combining academic and vocational elements respectively theoretical and practical learning have evolved in the Anglo-Saxon countries, as well. A common feature of these countries is a very high proportion of graduates from ISCED 5A programs (201): Australia, 50%, UK 55%, Ireland 43%. Short cycle tertiary education (ISCED 5) exist in both Higher Education and TVET. The “Diploma” is a qualification shared by both tracks. It leads to “Advanced Diploma” (TVET) or “Associate degree” (Higher Education. In Australia, the Associate Degrees (ISCED 5A) are understood to be both academically and vocationally qualifying and have been introduced as qualifications in recent years. They have been integrated into the Australian Qualifications Framework in 2004. The educational programs leading to an associate degree are open to all those who have acquired a vocational qualification (certificates III or IV), as well. The program duration is two years. In some of the countries in Asia like in China, the government is trying to develop a policy to establish good higher vocational college, by converting existing normal universities into Vocational Universities. "Gaozhi Higher Vocational Colleges" is the most equivalent type to the ISCED 5 and 6 levels. According to Ministry of Education (MoE) of China, it has been observed that the number of the higher vocational colleges in China was 1341 during 2015. There are about 747 specialized subjects offered by higher vocational colleges which require strong academic background, and 344 of the subjects are coherent with the bachelor education. Following the Chinese government’s policy of providing opportunities to students of secondary vocational schools to be able to pursue higher education (tertiary level) there has been an increasing number of Vocational Universities / Higher Vocational Colleges (see Table 2). Table 2 shows an increase of 126 in the number of Higher Vocational Colleges over last 6 years. The number of applicants who went on to vocational university or college has stay 42%-43% before 2009. And then it decreased continuously to 36.8% in 2013. However, there has been an increasing ratio of applicants for vocational schools as a result of government policies that facilitate students’ move from general education schools to vocational schools from 2014. China’s policies for vocational education converging with higher education program apparently have considerably improved its image in the public perception. Similarly, in terms of gender differences the statistics show that women score better in exams than boys. In Germany, there is a movement to build bridges between higher and vocational education through cross cutting education program in IT occupations in particular. It has been observed that DQR Bridge 5 project is developing cross-cutting education measures at Level 5 of the German Qualification Framework (BMBF&KMK, 2011) for which credit transfer can be granted within the framework of an upgrading training program and a Bachelor’s degree program. 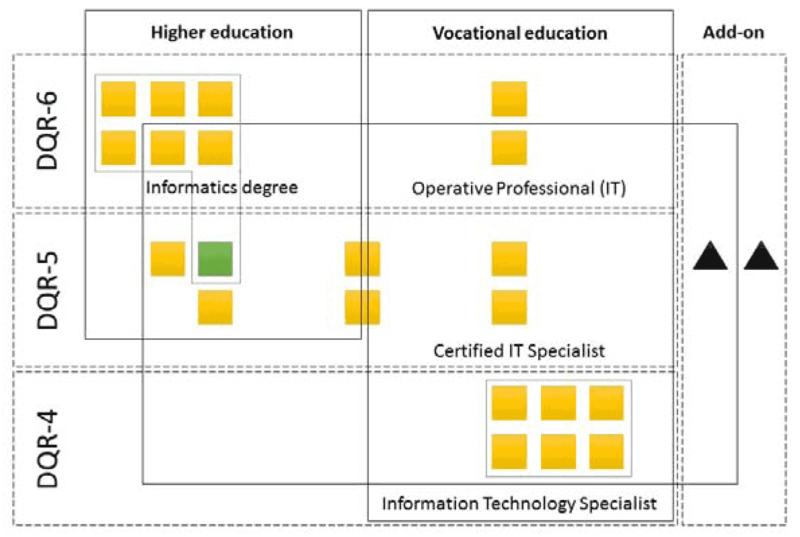 The Federal Government funded project “Promoting permeability to produce skilled workers – developing cross-cutting education and training measures in Higher and Vocational Education at level 5 of the German Qualifications Framework” is exploring the potentials of this Qualifications Framework level (BIBB, 2016). In cooperation between vocational education and training providers, chamber organisations and higher education institutions with academic backup, interlocking forms of curricula provision are being developed which are valid for both sectors of education and training, i.e. as the first tier of upgrading training and also eligible for credit towards a degree. The educational and training provision is coupled with advisory measures which are, in turn, being developed and realised across educational sectors. The models are being developed in the DQR Bridge project for the Information Technology sector among others. The design of education and training measures across educational sectors can combine learning outcome units from different sectors of education, e.g. modules from degree program, units of learning outcomes from advanced vocational training and qualifications such as a recognised initial occupational qualification. In the figure below the cross cutting learning arrangement between TVET and H.E in the IT sector are shown in Figure 2. All these trends in different countries are showing that a growing evidence of developing higher VET programs and wide range of models to create stronger links between academic, professional and practice related learning. In the subsequent section we have made further analysis in terms of implication and lesson learned from these trends. It is assumed that a consequent shift to learning outcomes, addressing compatibly both academic and occupational requirements in the development of qualifications, will make the capability to act across the education and training systems more explicit. Consequently, this will facilitate the visibility of the intersection and compatibility of Vocational and Higher Education approaches. In terms of quality development of qualifications and programs, this might be further promoted by integrated learning outcome concepts based on theory-practice linkages in ‘traditional’ degree programs as well as in embedded degree programs which integrate academic and work based learning in an adapted way e.g. as dual study. To promote Higher VET within the tertiary sector the European Commission proposes three models: parallel track to academic education, HVET as one of the two segments of academic HE within the three-degree cycles of the European Higher Education Area framework and at last HVET qualifications could be part of Adult Learning and Continuous VET (cf. EUCOM 2016). In terms of bridging HVET and academic HE to promote cross sector education paths UNESCO stresses the demand to develop sustainable and practicable procedures of articulations aligned to national qualifications frameworks which had been developed and implemented in most of the countries (cf. UNESCO 2016). The trends discussed above have generated a new space for VET future by the fusion of academic drift in vocational program and vocational drift in academic program. According to Raffe (2003), a drift can take many forms. However, it can be distinguished in three major forms of perspectives, content, longitudinal and integrated. The outcome of these approaches will reinforce solutions that promote permeability and mobility across education and occupational sectors. In turn, it provides more options and informed choices to the learners in selecting career and occupations across jobs. labour market and academic education and career pathways at the same level. If the conceptual differences between tertiary education sub-sectors are considered to be limited, or of limited relevance from the perspective of the development of effective knowledge policies that include tertiary level VET, what is the rationale for treating tertiary level VET as a separate policy area. Will a converging part between vocational and professional education emerge without catching up with the traditional part of academic Higher Education? A further question is whether an occupational-oriented academic Hybrid-Sector could generate a greater dynamic, if it is not incorporated in the regulatory Higher Education system and in the vocational education at the same time. Does educational hybrid-sector and its specific programs and qualifications need an independent regulation system? to investigate the nature of academic drift in the post-secondary VET terms of the content and the didactics to justify the upgradation in substance. Thus, by commissioning studies it can further reconfirm the great opportunities and potential for TVET to develop at higher qualification levels EQF level 5 and above in converging directions. Such VET at higher qualifications will help to overcome the age-old stigma of TVET unattractiveness by providing more learning pathways to the graduates in selecting career and occupations. Above developments generate a new space for TVET future by the fusion of academic drift in vocational program and vocational drift in academic program, which will reinforce solutions to promote permeability and mobility across education and occupational sectors. Arnold, R., Müller, H.-J. (1993): Handlungsorientierung und ganzheitliches Lernen in der Berufsbildung - 10 Annäherungsversuche. In: Erziehungswissenschaft und Beruf, Vierteljahresschrift für Unterrichtspraxis und Lehrerbildung, 41. Jg., Heft 4, 323-333. BIBB (2016): DQR Bridge 5 - Förderung von Durchlässigkeit zur Fachkräftegewinnung – Entwicklung von bereichsübergreifenden Bildungsmaßnahmen auf Niveau 5 des DQR. BMBF/ KMK/ AK DQR (2011): Deutscher Qualifikationsrahmen für lebenslanges Lernen. Berlin, 23.03.2011. Cedefop (2014): Qualifications at level 5 of the EQF. Publications Office, Luxembourg. Chakroun, B.; Keevy, J. (2015): Level best. A global study on the use of level descriptors in the 21st century. UNESCO, Paris. European Commission (2015): Study on Higher Vocational Education and Training, Revised Final Report. ICF International, Brussels. European Commission (2016): VET at higher qualification level – EQF level 5 and above. Note for the attention of the Advisory Committee on VET. Brussels. Hemkes, B; Wilbers, K; Zinke G. (2015): Brücken zwischen Hochschule und Berufsbildung durch bereichsübergreifende Bildungsgänge (aus) bauen. In: BWP 3/15. Hippach-Schneider, U. (2016): Academisation or vocational draft? In BIBB BWP, special edition 2016. Lerman, R.; Rein, V., (2015): Building a robust US work-based education and apprenticeship system at scale: Can lessons from Europe help? AICGS Policy Report Nr. 62., John-Hopkins-University. Majumdar, S., (2015): Transforming TVET with STEM Proceedings of the 2nd International Conference on TVET in the Caribbean – 2015, held at Montego Bay, Jamaica, May 13-15, 2015. Raffe, D. (2003): Bringing academic education and vocational training closer together, ESRC Research Project on the introduction of a unified system. Working Paper 5. Rein, V. (2011): US Associate Degrees – durchlässige Short Cycle Qualifikationen an der Schnittstelle beruflicher und akademischer Bildung. In: BWP 2011/4. Rein, V. (2015a): Short Cycle Qualifikationen – Ihr Stellenwert im Bildungs- und Beschäftigungssystem in den USA und der EU. In: Wissenschaftliche Diskussionspapiere. Rein, V. (2016): Making an American Credentials Framework. Intentions, Construction, Challenges and Perspectives. https://bibb.academia. edu/VolkerRein. United Nations (2015): The 2030 agenda for sustainable development. https:// sustainabledevelopment.un.org/content/documents/21252030%20 Agenda%20Sustainable%20Development%20web.pdf .Accessed 22 Mar 2016.